April 17, 7:00 p.m. – 9:00 p.m.
It’s spring! Make it bloom by attending our floral design class. You will design your arrangement and get to take home a beautiful bouquet of flowers. Join us at SBEA Recreation Area for a night of fun with help from a floral instructor from Perfect Petals. Flowers will be provided; you may bring your own Spring/Easter floral pics to add to your flowers. Class is limited to 20 people and cost $20.00 (you provide the vase), $25.00 (vase will be provided). Pick up your registration form and pay at any SBEA store. Administrative professionals work hard for you on a daily basis, so don’t forget to give them a little something to show your appreciation. Fresh flowers, house plants, gift cards, SBEA gift certificates, garden figurines, purses, jewelry, etc., all make wonderful gift ideas. Don’t forget the men Administrative professionals, SBEA has that covered for you as well. Stop by your nearest SBEA store for all your gift ideas and greeting cards to make help make your Administrative Professionals Day a great day. Enjoy 2 ½ hours of fun at Urban Air Trampoline Park, tickets are $11.00 for members and $15.00 for non-members. You must buy your ticket in advance at any SBEA store location. Take the ticket and signed waiver form to the park any time during business hours 10:00 a.m. – 9:00 p.m. to receive your arm band(s) for 2 1/2 hours of fun. One arm band includes access to all trampoline attractions and the 2nd armband is good for a session of High Ropes Obstacle Course (height restrictions apply, 50” or taller and gripper socks are required for the ropes course). All participants will need to have a signed waiver. Please be sure go online to Urbanairwaiver.com to complete your waiver in advance. Urban Air Trampoline Park, 8545 W. Irving St., Wichita. Tickets are on sale in all SBEA stores. May 8, 10:00 a.m. – 4:00 p.m. May 9, 7:30 a.m. – 1:00 p.m. Finest quality, trendy products priced up to 80% below retail, with more than 1,000 unique items for women, men, youth and children. Select from a variety of jewelry, scarves, sunglasses, wallets and much more. Cash, checks, debit cards and most major credit cards accepted. Payroll deductions will be available for SBEA members. Only those entered in tournament will be allowed to fish. This is a fund raiser for SBEA. A bus trip to Kansas City Children’s Mercy Park for the Sporting KC vs Seattle Sounders Soccer game will be Sunday, May 26. Game time is 5:00 pm. Cost for members is $75.00 and non-members $85.00 each. (includes bus ride and game ticket). Seats are in section 132. The bus will leave from the Cessna Activity Center parking lot at 8:00 a.m. Sunday morning and will return after the game. Seating for the bus is very limited so stop by an SBEA today to reserve your seats! June 5 & 6, 7:010 a.m. – 5:00 p.m.
March 26, 8:00 a.m. – 4:30 p.m.
June 15, 9:00 a.m. – 12:00 p.m.
SBEA invites all kids to come out and enjoy the lake and the thrill of catching a fish. We will stock the kids pond with fish especially for this day. Prizes will be given away that day for the kids. Free hotdog, chips and pop will be provided for participating kids. Concessions will also be available. This is a chance to see what a great facility you have at SBEA. The SBEA lake is located at 4226 S. Gold. Members can save 10% off all kids fishing items after the fishing event. Meet in front of the lake store at 9:00 a.m. or come out anytime from 9:00 a.m. – 12:00 p.m.
June 22, 7:30 a.m. – 3:00 p.m.
Don’t pack or throw away any of those winter clothes or camping items. Join the SBEA garage sale at the SBEA Recreation Area, 4226 S. Gold. You can reserve a spot for your own garage sale for only $5.00. Tables are available for $3.50 per table, while supplies last. Concessions will be available. Sign up forms are available in all SBEA stores or call 522-2996. Set up time will be 5:30 a.m. June 22. The garage sale will be open to all our members and the general public. Rain date will be June 29. Join SBEA in a day trip to see the KC Royals play the Minnesota Twins. The bus will leave Cessna Activity Center east parking lot at 8:00 am, the game starts at 1:15 and the bus will leave 45 minutes after the game is over. The seats are in section 113 on the lower level. Tickets are $75 for members and $85 for nonmembers. Seating for the bus is very limited so stop by an SBEA today to reserve your seats! One of the most popular “perks” SBEA members have is access to discounts across the city. SBEA provides a listing of merchants willing to provide wonderful discounts as a service to our members that can be accessed on line by visiting this page at https://beatoday.com/merchant-discounts/. The following are just a start to the discounts that are offered, you can find a complete list of all of the merchants online. Simply present your current SBEA membership card at the listed businesses. We continually look for additional discounts to offer our members. Did you know that you can view the Spirit/Boeing Today newsletter on line? Better yet, how about from the comforts of your own home. The answer is yes, our newsletter is available to view at www.beatoday.com or you can have it emailed to you simply by filling out the form on the back of the newsletter with your email address and send it to Stephanie at K30-35 or email it to her at steph@beatoday.com. We even have sign up forms in all SBEA stores to fill out if you would like to be added to the e-news letter list. For those that want a copy mailed to your home we will be glad to print it off and mail it to your home, but the cost is $10.00 a year. Did you know SBEA has a store located in the basement of the Meritrust Credit Union on South Oliver? Store hours are Mon. – Fri. 2:30 p.m.– 4:00 p.m. Check us out on your way home from work. Our friendly clerk is always ready to serve you. Spouses, retirees, extended members and family members can also utilize the credit union and lake store to purchase movie tickets, gift cards, SBEA gift certificates, cards for all occasions, gifts and much more. Stop in today and see what all the Meritrust Credit Union SBEA store and SBEA lake store has to offer. 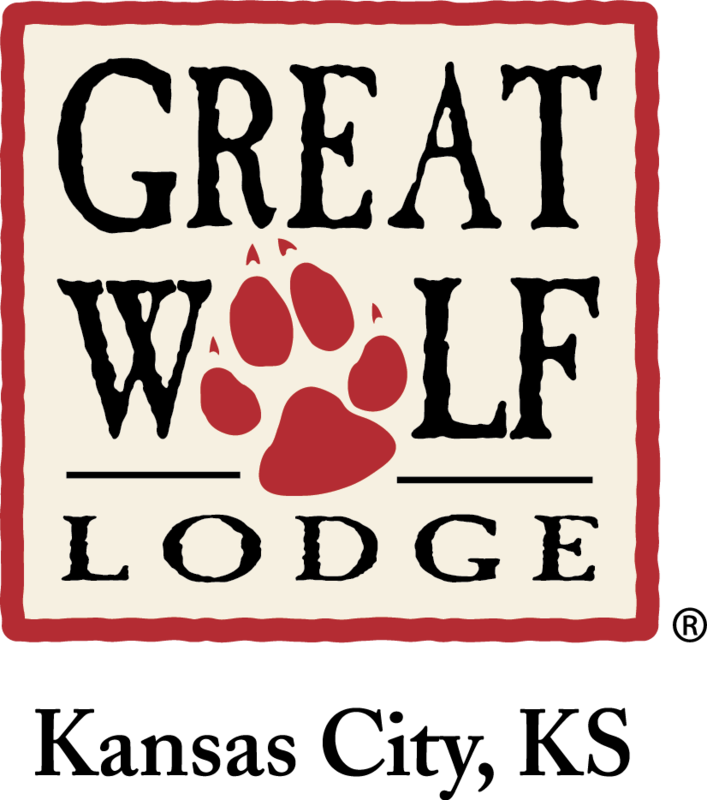 Your discount is valid at any Great Wolf’s 14 Lodges throughout the U.S. and Canada!! 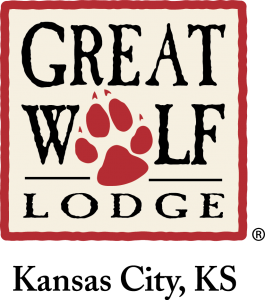 Great Wolf Lodge in Kansas City is the only place you can go and be able to experience a huge indoor waterpark; stay in guest rooms designed like the beautiful north woods cabins and dine in restaurants that will make you feel like you are camping under the stars. 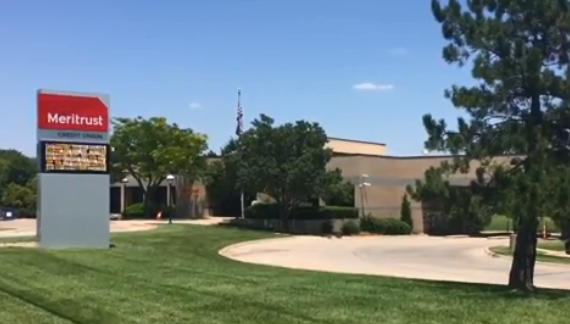 Plus the lodge is conveniently located on Kansas City’s west side right next to The Kansas Speedway, Sporting Park, Cabela’s, and The Legends Shopping Center. SBEA members save up to 30% off best available rates which includes waterpark admission the day you arrive through the day you depart. You must show your SBEA membership card at time of check-in. Check with your SBEA stores to get your corporate code for the discount. Offer is valid now until the end of December 30, 2018. Extended Membership: Current members can purchase an extended membership for any family member in their family. Open Membership: SBEA is now extending the opportunity to join the SBEA to all armed services and emergency relief personnel (Military, Firemen, Policemen, and EMS) Current active duty identification or retirement identification cards must be shown. Going To Retire? When you retire from Boeing or Spirit, and do not go to work for the other company, you are eligible to keep your membership current. Bring something to show your retirement status down to the lake office to join. Affiliate Membership: If you are laid off, you may purchase an affiliate membership (up to 4 years). If you are laid off and then retire you are eligible for a retiree membership. Bring something to show your retirement status down to the lake office to join. 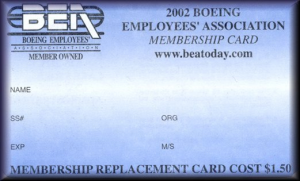 With all the employment changes in the last few years at Spirit & Boeing, SBEA wants to ensure that our members know that they are eligible to keep their SBEA memberships when they retire or leave the company. You retain most of your membership privileges and still get all the discounts and perks that you had as a member. 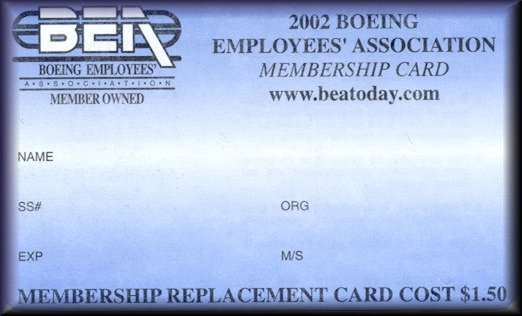 For a full list of SBEA membership opportunities go to www.beatoday.com and click on the “Membership” tab. It will tell you what type of SBEA memberships are available to you and what the cost will be.